In my last blog post, I talked about how to get started with social media. One of the points I mentioned was to find out where your clients spend their time online, and then go there. In this post, I’ll give you some ideas on how to find your people on social media. Whether it’s Facebook, Twitter, Instagram, YouTube, or another social networking site, take these ideas and run with them. Find out where your people hang out online, get to know them, and build your tribe! 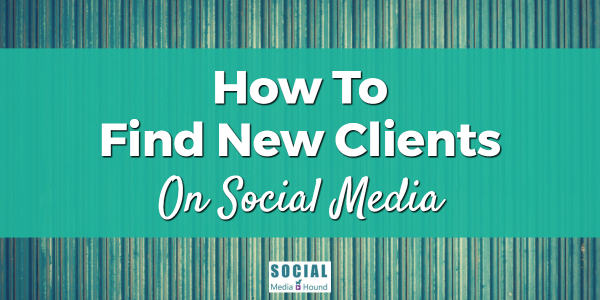 If you already have a business, start with your current clients / customers. Where they spend time can give you some insight as to where you can find people like them. Ask what social media platforms they use most often, industry websites or blogs they read, or industry leaders they follow. This is probably the easiest place to start, and can be done with free online survey tools like Google Forms, SurveyMonkey, or Typeform. If your friends and family have interests pertaining to your business, be sure to ask them, too! Spend some time searching on your particular keywords to find the most popular websites, blogs, forums, etc. in your industry. One tool that can help with this is Google Alerts. This free Google service, allows you to monitor the web for particular keywords. If you have a Google account, it’s easy to set up alerts to receive an email notification when someone mentions your chosen keywords, your business name, or your competitors. When you’re doing your research, in addition to general terms, if you’re trying to reach business owners in a specific niche, use terms only people in the industry would use. For example, if you want to reach professional pet sitters you might do some searches for ‘EOD pet sitter’ or ‘hobby sitter.’ These are very common terms used by professional pet sitters, but probably not that many people who are looking for pet care. Take a look at what others in your industry are doing. Find out where they spend the majority of their time, and study what they’re doing. If they’re on Facebook and have an active community, pay attention to how they interact with their followers and what gets the most interaction. If they’re on Twitter, how are they interacting there? Do they host a regular Twitter chat? Are they actively engaging with people? This will not only give you clues as to where your potential clients are, but what they want. After you identify your main competitors and before you spend time searching for them on social media websites, visit their websites. Since most businesses include links to their social accounts on their website, you may find them all in one place and save yourself some time. Find out who people in your industry look to as leaders and influencers. They may be bloggers, speakers, experts, authors, marketers, etc. (This could be one of the questions you ask in the survey you send to your current clients.) Pay attention to how, and where, influencers interact with their audience. It’s also important to make notes on the conversations they have with their followers. Since you’re trying to build your own following, you can use this information to create content you know they’re interested in. Facebook is an excellent place to look for your audience. There are groups for just about any industry, niche, or interest you can think of. Join some of the more active groups in your industry and get to know people in the group by answering questions, offering support, and joining conversations. And, as you do with the influencers, pay attention to what people are talking about and what websites or social media platforms they discuss. The ideas above are just a few ways to go about finding your people online. Now I’d like to hear from you! Is there a particular strategy that has proven to work the best for you? If so, let us know in the comments.